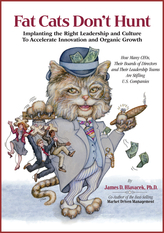 For over 40 years, Jim Hlavacek and his colleagues have worked with manufacturing executives worldwide to develop strategies for streamlining innovation, boosting top-line organic growth, and leading the knowledge workers that make it all possible. Finally, he will share those same secrets with you! by James D. Hlavacek, Ph.D.